— From Elvis is King! 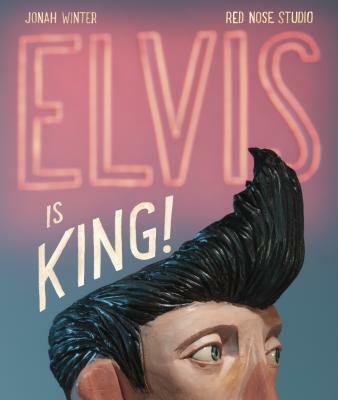 Jonah Winter and Red Nose Studio have created a tour-de-force that captures a boy's loneliness and longing, along with the energy and excitement, passion, and raw talent that was Elvis Presley. JONAH WINTER is the author of dozens of picture books, among them Here Comes the Garbage Barge! (4 starred reviews, New York Times Best Illustrated Book Award); Lillian's Right to Vote (4 starred reviews); Ruth Bader Ginsburg (3 starred reviews, New York Times Best Illustrated Book Award); Mickey Mantle: The Commerce Comet (2 starred reviews); and The Secret Project (5 starred reviews). Visit him at jonahwinter.com.